I've been lamenting that I have nothing to blog about. Luckily, Vic and I went to Firehouse Subs today and got some exciting things to bring home. Pickle buckets! We've been talking about buying them for awhile--they only cost $2 and are kinda cute. I thought they would be fun to put toys in, Vic thought they would be fun to take up space on her moving truck back to Kansas. Upon purchasing our glorious buckets, we realized that they actually used to hold a lot of pickles... and they smell like it. Like, terrible. I pretended all day long that I was going to leave them in Victoria's car over the weekend and she believed me. Gullible. 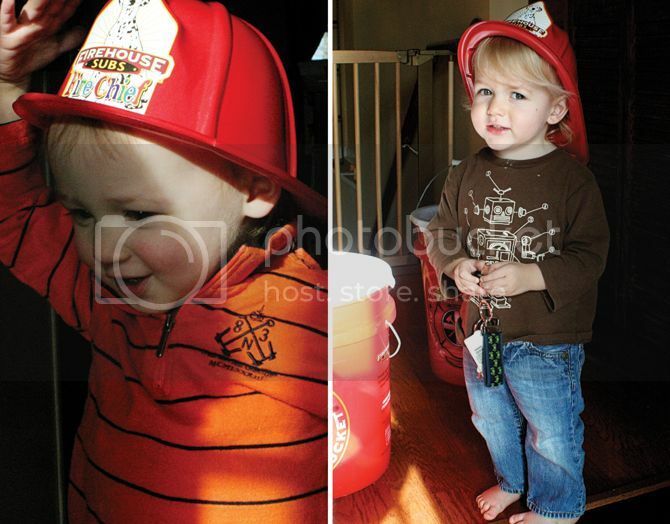 I also got these cute hats for Finley and Calvin to wear... they liked them more in theory than in practice. 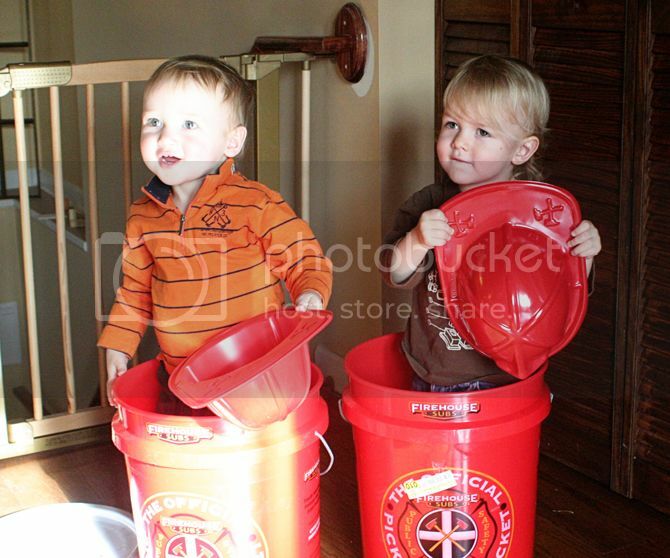 And they liked them even more when we made them wear them in the stinky pickle buckets. 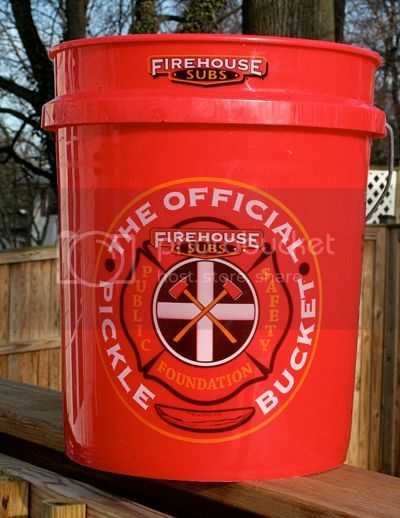 The pickle buckets are currently on the deck, where they will be until they can smell normal again. Pettit-Scott picked a pair of pickled pots that she posted promptly. If pickled pots posted a pair of pickled posers, how many pickled pairs did posting Pettit-Scott pick? haha I was literally just thinking about these and HOPING that you took them out of your car... I'm apparently pretty gullible too because I was a bit worried you would leave them in Vic's car!